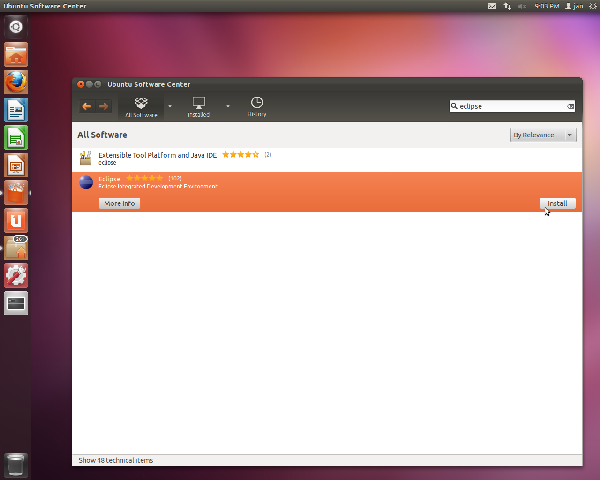 Send comments, suggestions, etc. 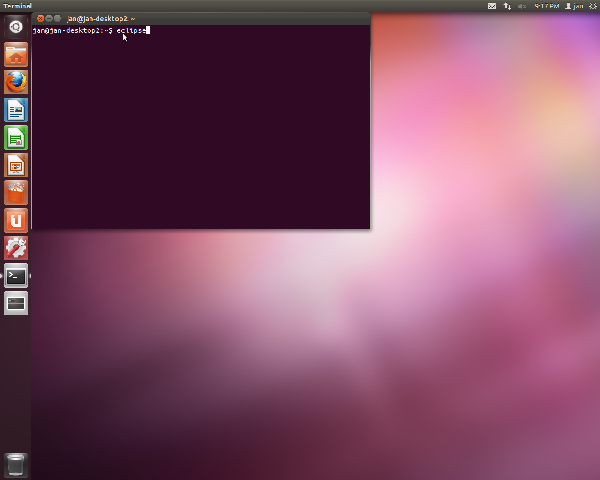 to jan (at) janaxelson.com. 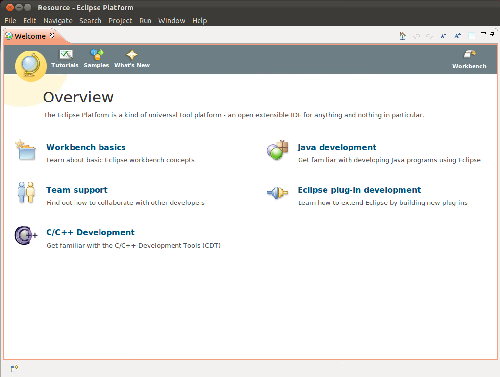 You can use Eclipse and the C/C++ development tools on a PC to write and compile programs using your cross-compiler's toolchain. 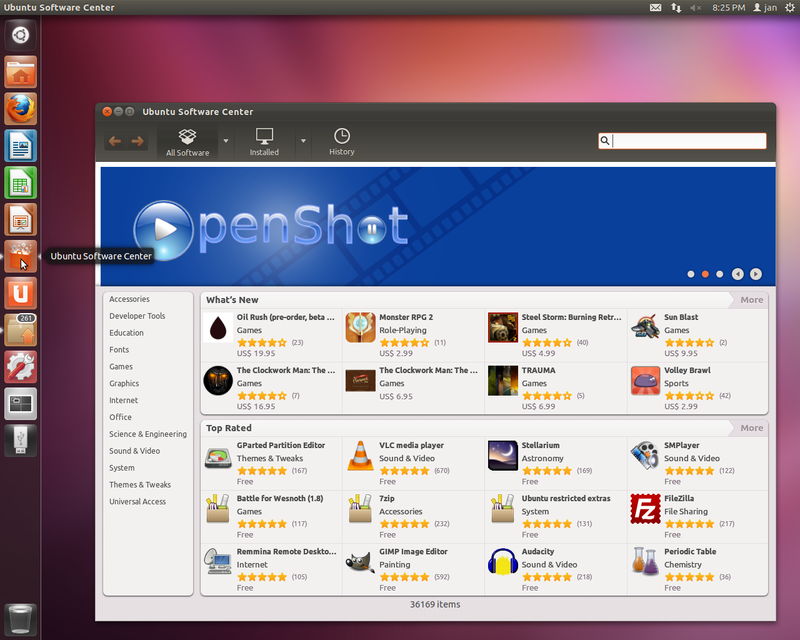 Open the Ubuntu Software Center by clicking its icon on the launcher bar along the left side of the screen. 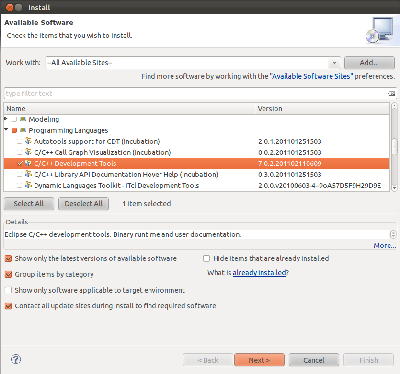 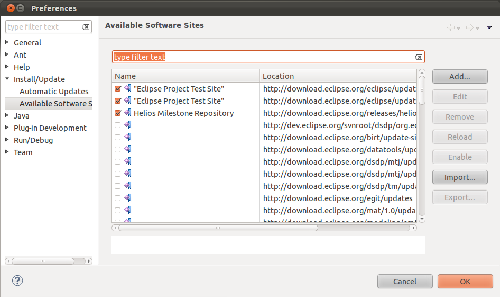 Type eclipse in the search bar, select Eclipse Integrated Development Environment, and click Install. When installation completes, you can close the Ubuntu Software Center. You are now running Eclipse. 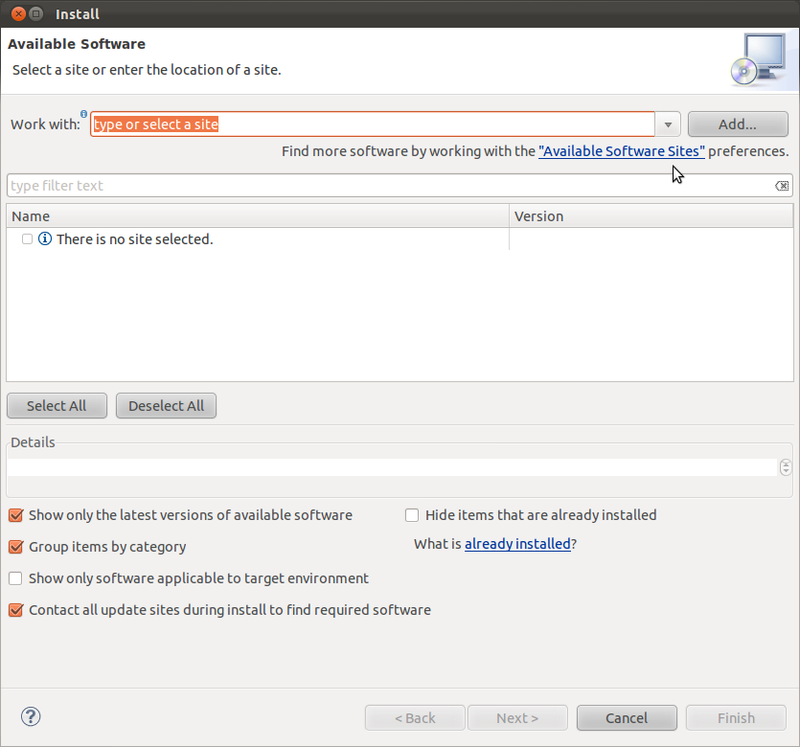 In the Install window, under the Work with text box, click "Available Software Sites". 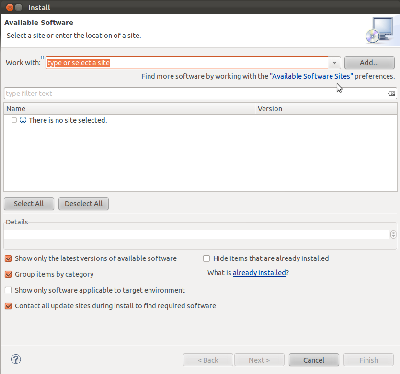 select -All Available Sites- and click OK. 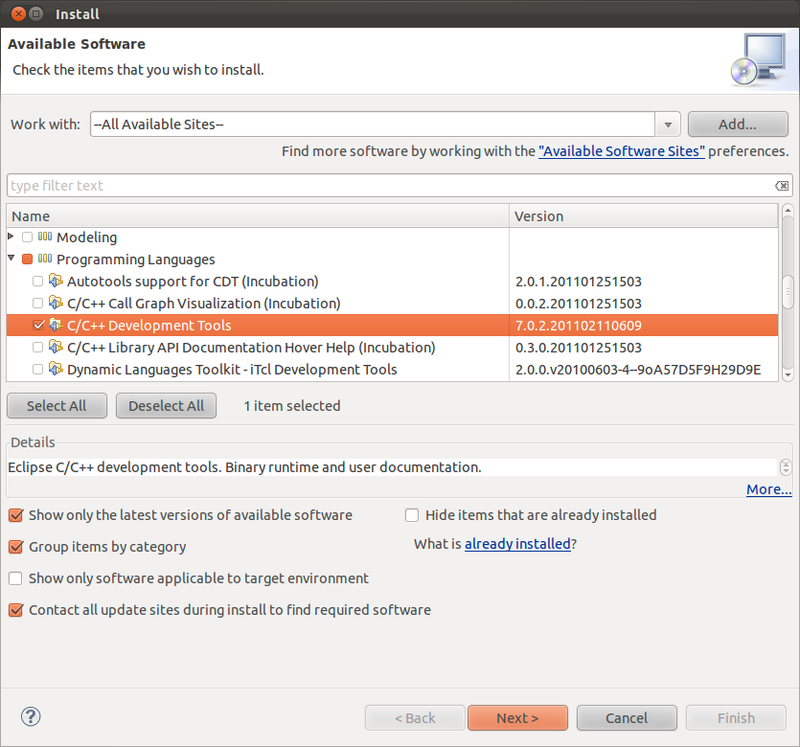 In the Install window, in the main list box, expand Programming Languages by clicking the arrow on the left and select C/C++ Development Tools. 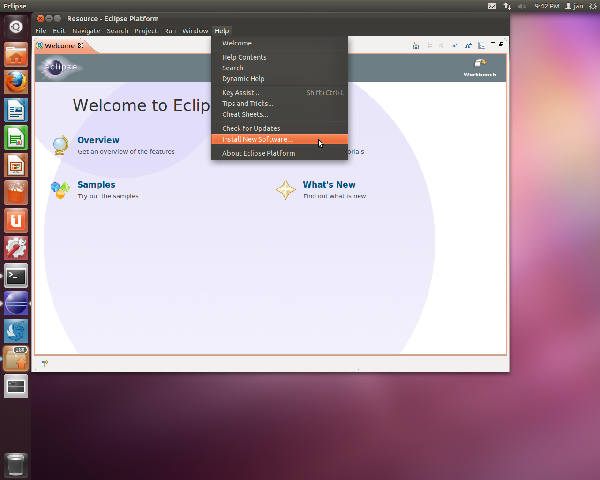 Click Next and follow the dialogs to accept the license and install the software. 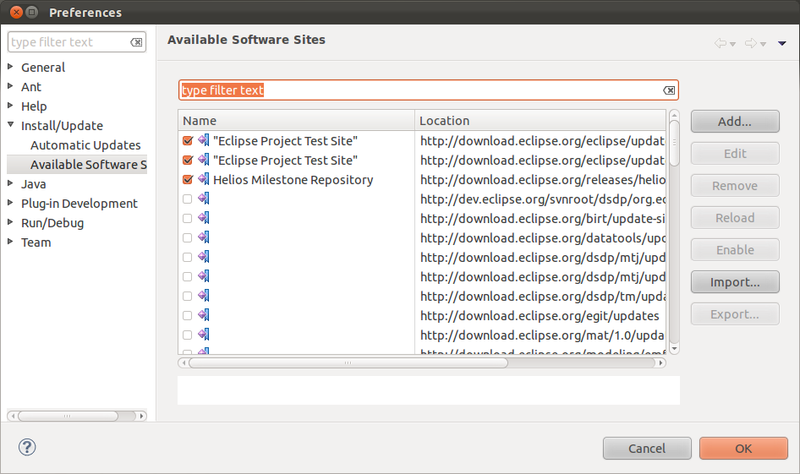 When prompted, click Restart Now to restart the Eclipse Platform for the installation changes to take effect. Go to Part 3: Create and Configure a Project.